1. How lucky do you think you are for this Black Friday 2018? 2. What about the deals for EXTRA Black Friday 2018? Besides the massive discounts of up to 80%, this year's EXTRA Black Friday you'll be able to test your luck at the slot machines on piatraonline.ro/blackfriday to win EXTRA prizes – from shelves for your bathroom, decorative glass or stone statues for your house and your garden! Furthermore, if you sign up with your email, you will be the first to find out about promotions take advantage of the many deals and EXTRA discounts. We have a wide product range for this EXTRA Black Friday – from the comfort of travertine to the elegance of marble, the classic granite, the exotic slate, the amazing onyx up to the revolutionary SKIN Flexible Slate – a flexible natural stone. 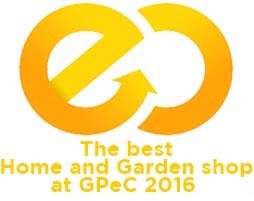 Different materials for beautiful decoration projects, interior and exterior. The only limit that stands between you and Black Friday discounts is your creativity. To make your job easier, visit our website now and add everything you want to your favorites. Hence, you'll be the first to find out if your choices made the EXTRA Black Friday campaign list. Because we wanted to avoid the stress of waiting in line in our showroom and also be able to successfully confirm all the orders, we decided that PIATRAONLINE’s showroom and Pavilion will remain closed and instead we will focus on online orders. For Black Friday 2017, natural stone order amounted up 320,000 euros, with over 20,000 sqm of natural stone, twice the size compared to 2015. Based on these figures, the number of people who discovered the beauty of natural stone has increased. 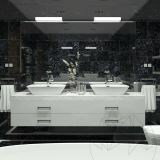 Every year, natural stone gains more and more fans. With all our actions and campaigns, we wish that people continue to discover the beauty of this material and understand its serenity. The exterior of a house makes the first impression and decorative elements are very important. Splitface Cladding is the ideal solution if you are looking for natural materials in the exterior, with special look and very durable. Splitface cladding is perfect for exterior and interior decoration projects: bathrooms, kitchens, cellars (wet spaces), as well as living rooms, cafes, offices, hallways and on the exterior for cladding fences, home bases or framings. This EXTRA Black Friday allows you to purchase an ideal splitface cladding for your project at discounted prices. Just remember that it is a race against the clock and you have to be the first to find out about the extra discounts and prizes, so sign up with your email address at piatraonline.ro/blackfriday. Travertine is a very popular natural stone for both interior and exterior decoration projects. Besides the fact that it is a unique material, with its undefined pattern or the porous surface, travertine is also available in a wide range of shades. An amazing material available with discount ONLY this Black Friday, November 16 and only online. Do you have a building to finish or you have a renovation project? This Extra Black Friday is the perfect time to purchase the natural stone you want for your project! Discounts up to 80% on granite and on top of this you can visit piatraonline.ro/blackfriday for testing your luck at the slot machines. Rewards? Extra prizes, many discounts and you'll be the first to know about our discounts. 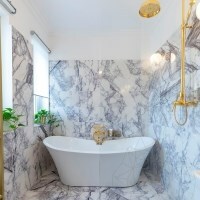 Craving for a marble bathroom? Now is the time to make your dreams come true! This Black Friday we have prepared an extra Friday with the biggest discounts and chances to win extra prizes besides the ordered products. Enter piatraonline.ro/blackfriday, sign up with your email address and be the first to know about the types of marbles included in our campaign. 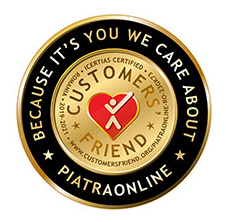 This year, our plan was to optimize PIATRAONLINE services for confirming as many orders as possible. Compared to last year, our target for 2018 is 1,000 orders, therefore we decided to close PIATRAONLINE showroom and pavilion this Black Friday and focus on piatraonline.ro, piatraonline.com, piatraonline.bg and piatraonline.de. Since 2014, when we started to integrate Black Friday in our campaigns for PIATRAONLINE customers, we realized that somehow we should optimize the time spent by our sales assistants with customers in the showroom, therefore in 2018 everything happens EXCLUSIVELY online. We will provide full service chat and call-center, so that we could confirm every order launched by our customers. Just like last year, we have prepared 1,000,000 kilos of natural stone and more than 60 products from every category with discounts up to 80%, over 250,000 sqm of stone, we have updated stocks and besides Romania, we will focus our deliveries on Germany, Austria, Bulgaria and UK. Assisted by courier services, this year we aim to deliver all orders by November 28th. For small-quantity orders, AWB will be automatically issued when placing your order, no help from our sales assistants. Besides, we also invested in website optimization – placing an order will bring you recommended accessories, besides waterproofing and aftercare products or adhesives. Black Friday 2018 takes place on November 16, between 00 and 24 hours, exclusively online, our showroom will remain closed for this day. We have new payment methods – PayPal (EUR or USD payments) and mobilPay (RON and EUR payments) and all our customers have the chance to win extra prizes – natural stone objects for your home and EXTRA discounts. It's official! 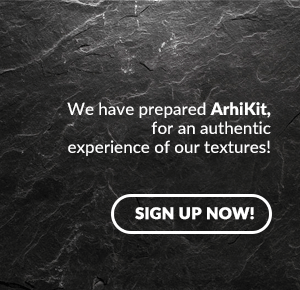 We have prepared for this and all you need is inspiration from hundreds of stone textures, so that your project becomes reality! Don't forget – play the slot machines on piatraonline.ro/blackfriday and win instant prizes!